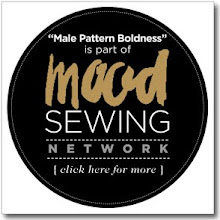 male pattern boldness: Mackinaw Madness! 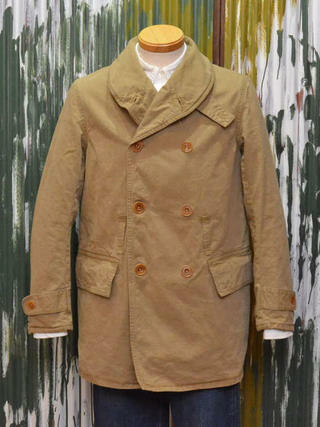 One of them has been going on since last August, when MPB reader Pam (yes, that Pam) sent me a link to a photo she'd seen on Tumblr of the most remarkable looking Mackinaw men's coat with a distinctly 1920's silhouette (to my eyes anyway). It was love at first sight. Parenthetically, friends, please don't send me links to photos of highly desirable garments I'm likely going to want to sew for myself -- it's very distracting. 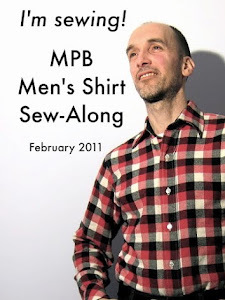 So I would LOVE to make myself a shawl-collar men's mackinaw. I'm guessing mackinaw coats have some military or hunting origin but I'm too lazy to find out. Anybody know off-hand? Actually, I think it's Pam's responsibility to cough up some research since she planted the seed in the first place, don't you? 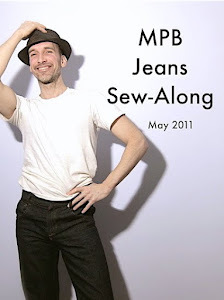 More photos of shawl-collar mackinaws, the third one down a repro Levi's makes for their vintage line. 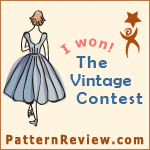 I looked high and low for a men's mackinaw pattern but do you think I could find one? I could not. 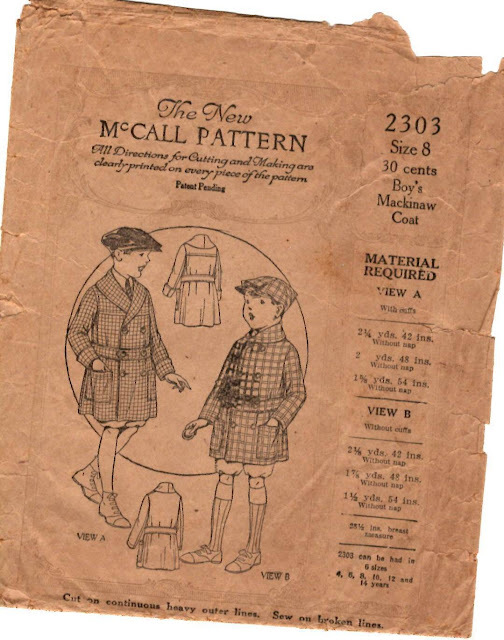 What I was able to find, however, at an affordable price, was a boy's mackinaw pattern. 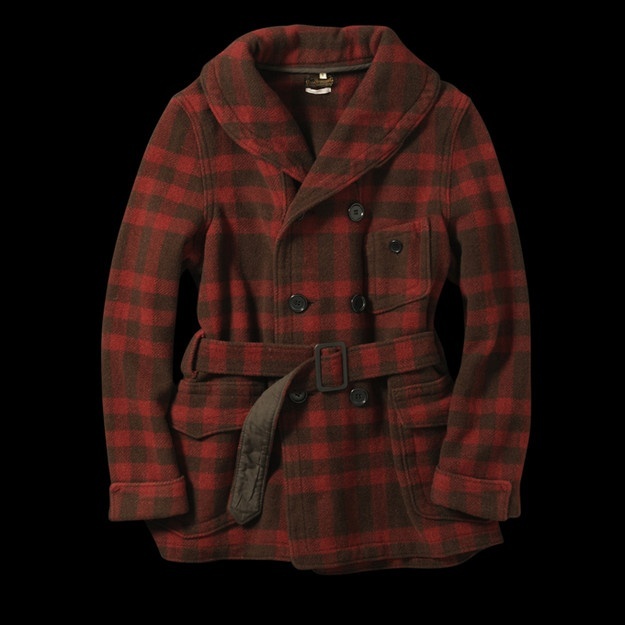 Close inspection suggests that this coat is, for all intents and purposes, a scaled-down replica of an adult men's mackinaw pattern. I'm not going to try to scale it up so much as use it for inspiration to draft my own mackinaw pattern. The shape of the torso and sleeves is not very different from the peacoats I made two years ago (version 1 and version 2). And I have lots of books to help me draft a shawl collar. I know this is quite a departure from my neoprene adventure. All I can say is, blame Pam. Pam killed it with that coat! I love it. And, while I think it's crazy that you bought the kiddie version pattern, I have every confidence this is going to be a gold-star repeat of the silver jeans - except totally different. You know what I mean. Gorgeous, a winner for sure. Oh heck yes! 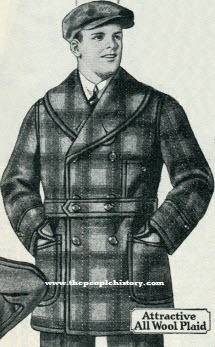 I LOVE men's '20s fashion (and also that women wore very similar jackets and sweaters in this period too), and I can't wait to see how yours comes out. Here's one, Peter: http://www.nwtrader.com/patterns.html. It's a beautiful coat. Pam's got good taste, that one. 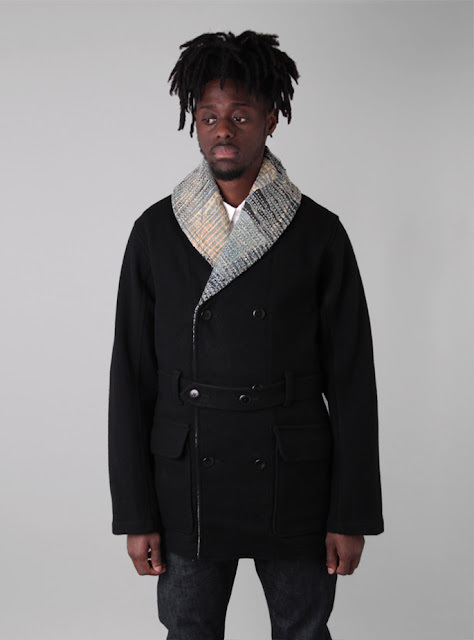 I also love that coat, especially the Japanese boro collar. Can't wait to see your rendition (hopefully not in neoprene). 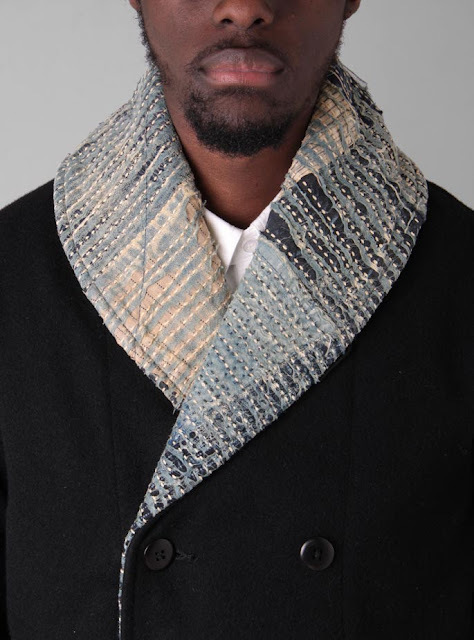 The collar/facing fabric in the inspiration photo looks amazingly like some of my Saori woven fabric. I love it. 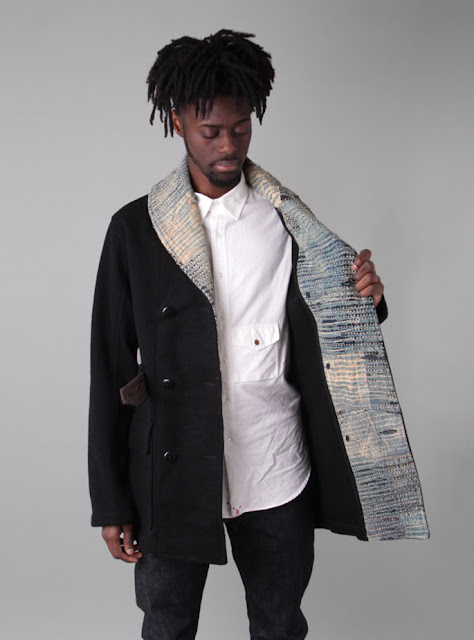 This coat is beautifully made as other garments you make. I can't stop admiring the combination of fabrics you chose. That collar is 8 to 10 years ahead of where men's fashion aspires to be. Not one word about the model. 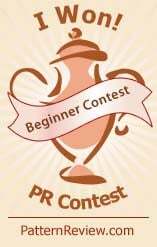 Permit me to be the first, mmmmmmmmm! I thought that maybe you were thinking about making a neoprene mackinaw coat before I began reading this post. Haha! I think it could look good in neoprene. The coat already has a very broad, uncontoured shape. If you look at the first picture, the seams for distinct lines like you see with neoprene. I would probably just make the shawl out of a different material. Yeesh. You check out for a few days to sew for other people, and you find yourself publicly impugned for good deeds. So, as requested, there is a Wikipedia entry on Mackinaw cloth which also addresses the interesting origins of the coat of the same name: https://en.wikipedia.org/wiki/Mackinaw_cloth. Indeed, I have even been to Mackinac Island on Lake Huron -- a lovely place where no cars are allowed. Other than foot traffic, it is just bikes and horse drawn carts and wagons. But, I digress. Back to the coat making. 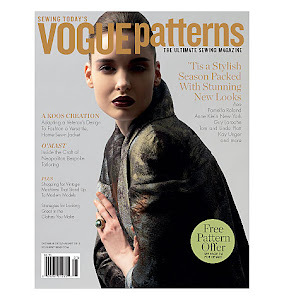 For me, it is the coat's sashiko stitched collar that makes it extra wonderful. I'm waiting with baited breath for what results here. The subplots are what makes every narrative exciting and interesting. That multi-coloured "halloween" fabric you purchased recently would look great as the contrast fabric for that coat. I have been secretly working on a kids mackinaw pattern for a month (finishing the grading now) and I love that all the pics you've posted here - especially the Sashiko one - are in my inspiration board. I can't wait to see how yours turns out! Wouldn't a neoprene Mackinaw be closer to a Mackintosh? 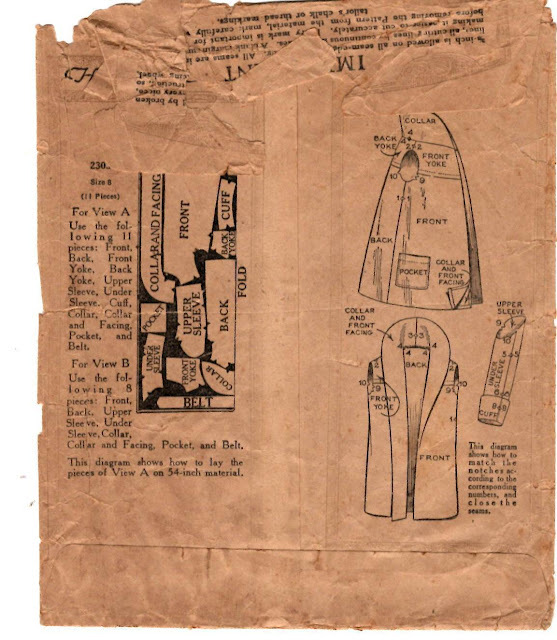 Two similar sounding outerwear coats, but the origins of the Mackintosh are that it was made of a layer of rubber, laminated between two layers of fabric - a precursor to Neoprene. This contents page indicates a draft for a mackinaw!